Guided fishing trips have started to gain popularity in South Africa. These sort of fishing trips are guided by angling professionals who most of the time will fish or take fishing tours as their occupation. Beginners and tourists are the main customers of guided tours and occasionally expert or advanced fishermen would go on a journey. Being able to get away from work and go on holiday to fish is wonderful. 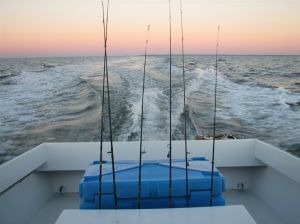 Deep sea fishing charters are one example of the type of guided fishing trips available to fishermen. Charters are a wonderful experience and most professional fishing charters will supply bait and tackle. Beginners are also welcome on most charters and deckhands are more than willing to teach new comers or children. Depending on the fish species caught and the fishes size, majority of catches are able to be taken home by customers and enjoyed on a braai. 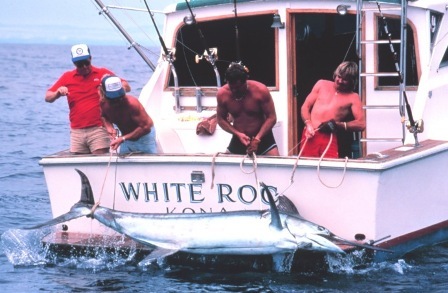 There is a variety of packages available when it comes to guided fishing trips, other than deep sea fishing such as harbour cruises, whale watching and sight seeing tours. Most of the packages depend on whether they are overnight packages or day trips and food can normally be purchased. Going on a guided fishing trip such as a fishing charter also enables fishermen to learn different techniques and ultimately improve their fishing skills. Another type of guided fishing that is only starting to develop is shore based fishing tours. These sorts of packages offer fishermen the chance to go shore fishing with professionals who are experts of the local terrain and the best fishing spots. Rock fishing is also common, especially at night when sharks and other large fish such as Garrick are active and feeding. The above mentioned options give fishermen the opportunity to try something different. Getting a group of friends together and going on a fishing trip can be an awesome experience. you and your friends with valuable fishing skills and stronger knowledge on the techniques and tactics of catching fish. There will also be the opportunity for you to ask questions and talk to the professional fishermen who go fishing on a daily basis. Guided fish trips are highly recommended, whether you decide to go fishing with a deep sea fishing charter or a shore based professional, you will be able to learn a lot as well as have some fun during the learning curve.